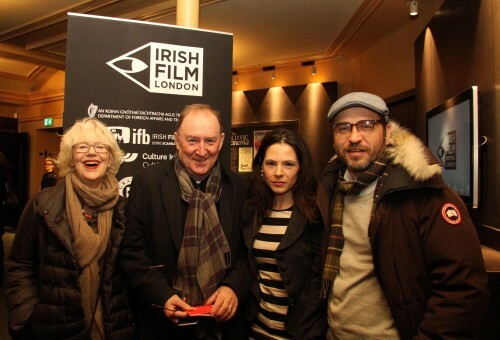 The opening night of Irish Film Festival London 2015 was at Regent Street Cinema on Weds 18th November, with a screening of “W.B Yeats: No Country For Old Men”. 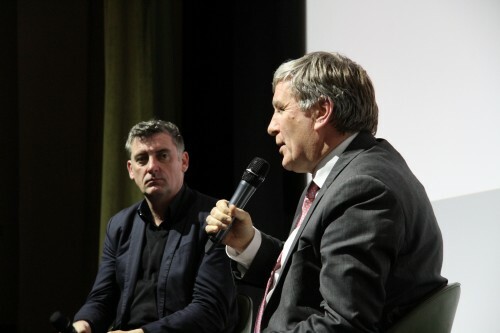 This was followed by a Q&A with the film’s director Maurice Sweeney (The Forgotten Irish, Saving the Titantic), hosted by Irish Ambassador Dan Mulhall. The screening drew interest from all corners of the Irish community in London, from historian Tom McMillan, formerly of the David Whitely Library to poetry enthusiasts Mary McBride and Toby Glynn, who travelled up from Brighton for the event. London Rose of Tralee Aisling Hillary with the Irish Embassy’s Nora Delaney. The London Rose of Tralee joined the Irish Embassy’s newest female member Nora Delaney at the Regent Street venue. 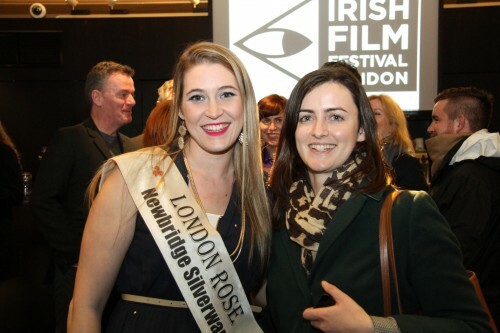 Aisling Hillary’s role as the London Rose brings her to many prestigious events, including taking part in the St. Patrick’s Day parade each March. Ahead of the screening of “WB Yeats: No Country for Old Men”, a selection of shorts were presented to the theatre. These shorts were a part of a Trina Vargo project with the US-Alliance, which aims to teach high school students in the States about the Irish poet. Acclaimed Irish actors Adrian Dunbar, Sarah Bolger, Derbhla Molloy, Dermot Crowley and Elaine Cassidy. 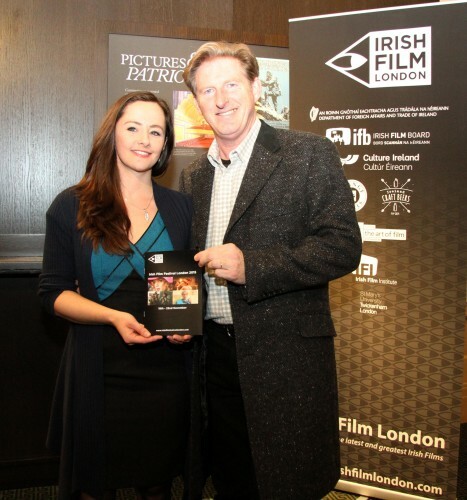 Director of Irish Film Festival London Kelly O’Connor with actor Adrian Dunbar. The film focused on Yeats’ latter years and his interest in the occult. It explores the unknown history of Ireland’s most renowned literary geniuses, regarded as the poet laureate of the new nation, William Butler Yeats. Described as a modern interpretation of Yeats’ life, and providing a chance for the general public to reawaken the interest in Yeats, it focuses on the poet’s later work and the themes that inspired him as an ageing man. 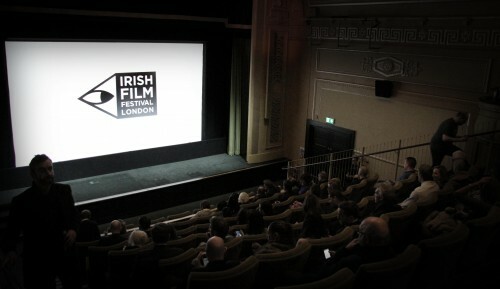 The Irish Film Festival London continued through the weekend over 5 days across 7 venues in London. Including features, shorts, documentaries, experimental films, a live music performance and two industry talks. There was talk of documentaries of such quality, and educational appeal being used in a touring programme of films for Irish centres across the UK.